A new federal mandate requires most commercial truck drivers to “go green” by trading in their old paper logs for electronic logging devices (ELDs) by December 18, 2017. Thought to affect roughly 3.5 million truck drivers, the new mandate is intended to increase driver compliance with federal drive-time regulations and decrease burdensome paperwork. Commercial truck drivers are legally required to take a lengthy break after 11 hours of consecutive driving, but drivers have admitted to driving longer hours and falsifying their logs. The ELD mandate is expected to improve compliance with the federally required hours of service because the logs will be electronically linked to vehicle engines. Reports have shown that on average each year, there are 1,800 crashes (resulting in 60 injuries and 25 deaths) from driving while tired, and the hope is that new ELD requirements will decrease the number of fatigue-related accidents. When the engine is on, the ELD records the date, time and location of the truck within a one-mile radius. It also records the drivers’ identification and motor carrier information. It does not record continuously, but automatically logs this information once per hour. The ELD is also intended to document when a driver changes status from “driving,” “on duty but not driving,” “moving to the sleeper berth,” and “off duty.” The driver is responsible for inputting the status information, since an entirely automatic option was considered too invasive. Recorded ELD data is stored and subject to access by authorized safety vehicles during inspections or audits. Driver monitoring, of course, is nothing new. Truckers are already required to manually log most of this information and make it available upon request. Nonetheless, the ELD mandate was not warmly received by many in the commercial trucking community. A contentious relationship has existed between the commercial trucking industry and the Department of Transportation (DOT) since 1995, when Congress directed the DOT to revise the hours of service requirements. From 1995 to 2012, the DOT proposed many rules changes, all of which were challenged and struck down—three times in federal court, once in the Seventh Circuit. In 2012, Congress stepped in again and passed the Motor Vehicle Enhancement Act, explicitly directing the DOT to come up with an ELD rule. 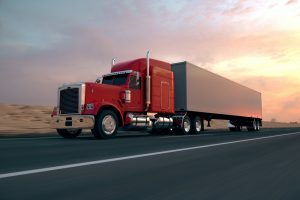 In December 2015, when the new ELD rule was first released, it was promptly challenged by two professional truck drivers and the Owner-Operator Independent Drivers Association (OOIDA). This time, however, on October 31, 2016, the Seventh Circuit upheld the ELD mandate. The Court used a three-part analysis to conclude that the commercial trucking industry is pervasively regulated: (1) the history of the regulation in commercial trucking; (2) the comprehensiveness of commercial trucking regulations; and (3) the inherent dangers in the commercial trucking industry. The Seventh Circuit also established that the ELD mandate is a reasonable way to regulate the commercial trucking industry. It found that the government has a substantial interest in the commercial trucking industry and that ELDs are a necessary advance because paper logs are subject to falsification, forgery, and human error—not to mention motor carrier pressure on drivers to drive for longer hours than legally allowed. It also considered the ELD mandate a constitutionally adequate substitute for a warrant largely because it is not any different than the current search of paper logs. In response to the petitioner’s other arguments, the Seventh Circuit ruled that (1) ELDs do not need to be entirely automatic because, if they were, they would be “breathtakingly invasive;” (2) the ELD mandate sufficiently protects drivers from ELD-related harassment by motor carriers; (3) no cost-benefit analysis was necessary for implementing the ELD mandate because it was done at Congress’s direction; and (4) ELD information will be kept sufficiently confidential as per the statutory requirement. The OOIDA has not said whether it will appeal the Seventh Circuit’s decision, but the organization has made clear its disappointment with the ruling. Its displeasure notwithstanding, it appears that the commercial trucking industry will be going green. The hope is that ELDs will collect information more efficiently and accurately, while creating safer roads, but without introducing new or unforeseen privacy concerns for drivers.